Even a minor cut or injury can be distressing for a young child, so imagine how they feel when they’re facing medical treatment in hospital. 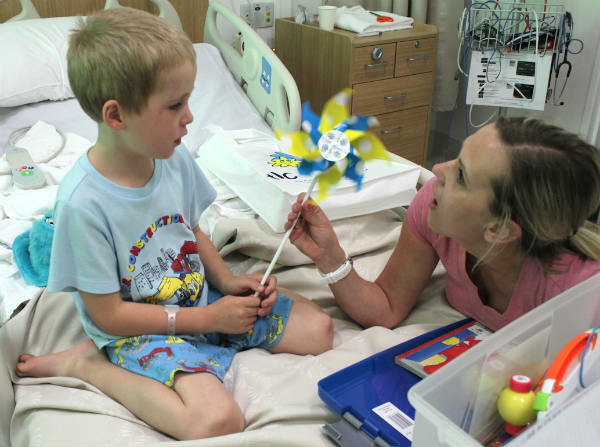 Elizabeth White knows all too well – as nurse unit manager of the children’s ward at Box Hill Hospital in Melbourne, she’s helped countless children go through procedures ranging from removing Band-Aids to surgery under anaesthetic. But she has a special trick up her sleeve – a box of goodies that help divert their attention away from what the nurses or doctors are doing. 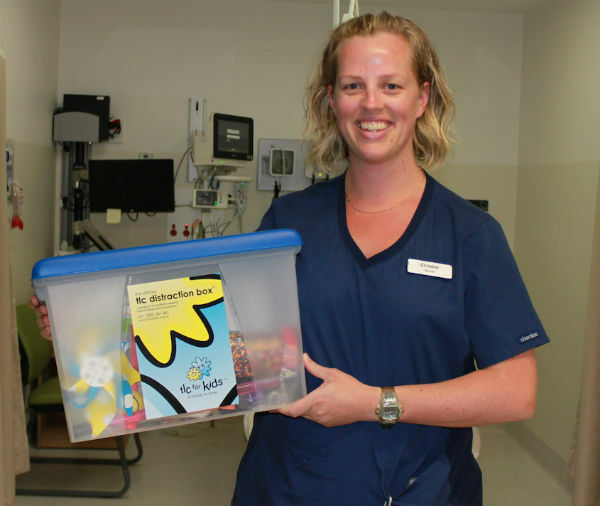 The Distraction Boxes contain specially chosen games, puzzles, activities and toys and are donated to children’s wards all across Australia – and the Royal Flying Doctor Service – by charity TLC for Kids. Elizabeth says as well as preventing children from getting worked up during examinations, the boxes help hospital staff build a rapport with their patients. “If we can play with the child they get a bit more comfortable with the staff,” she says. “That helps the parents relax too and that also feeds back to the child.” She says the boxes can also reduce the need for sedation, which in turn has significant medical benefits. 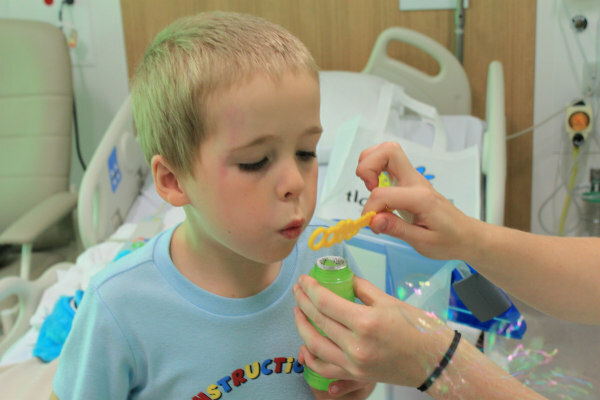 TLC for Kids has placed Distraction Boxes in more than 400 hospitals across Australia. The one-of-a-kind program, launched in 2004, touches an estimated 600,000 children each year through more than 1700 boxes. Each box is used nine to 13 times a week. We are proud to be supporting this pioneering charity through our Babyology Christmas Care campaign. We’ve joined with generous sponsors to donate more than $37,000 of goods, including baby monitors, carriers, shoes, baby care products and toys, to the Rapid TLC program. The program provides speedy, focused help to children in hospital and their families when they need it most. You can join Babyology Christmas Care by donating to TLC for Kids directly – and stay tuned for more on the charity and our campaign.